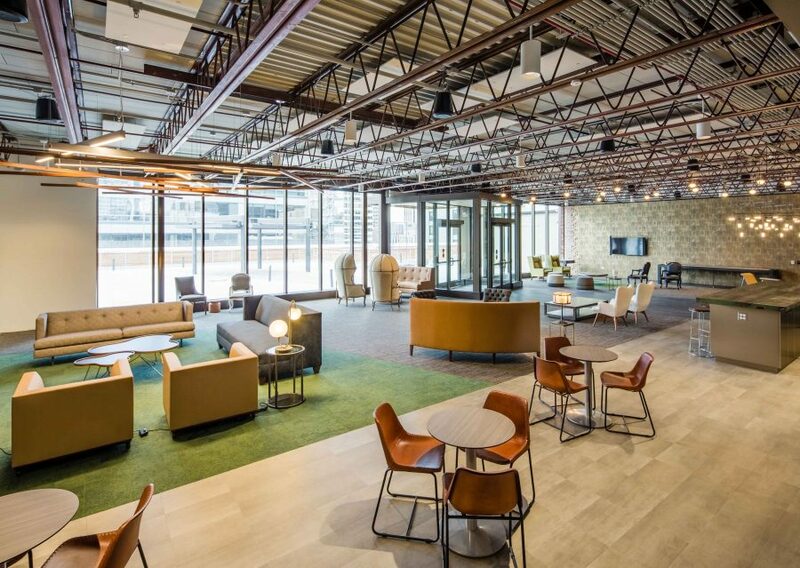 In need of a refresh, Beacon Capital Partners enlisted WHA’s expertise to redesign 1 North Dearborn’s tenant amenity spaces. Executive-level upgrades to the rooftop level include an outdoor terrace and tenant lounge with views of the park and lake. 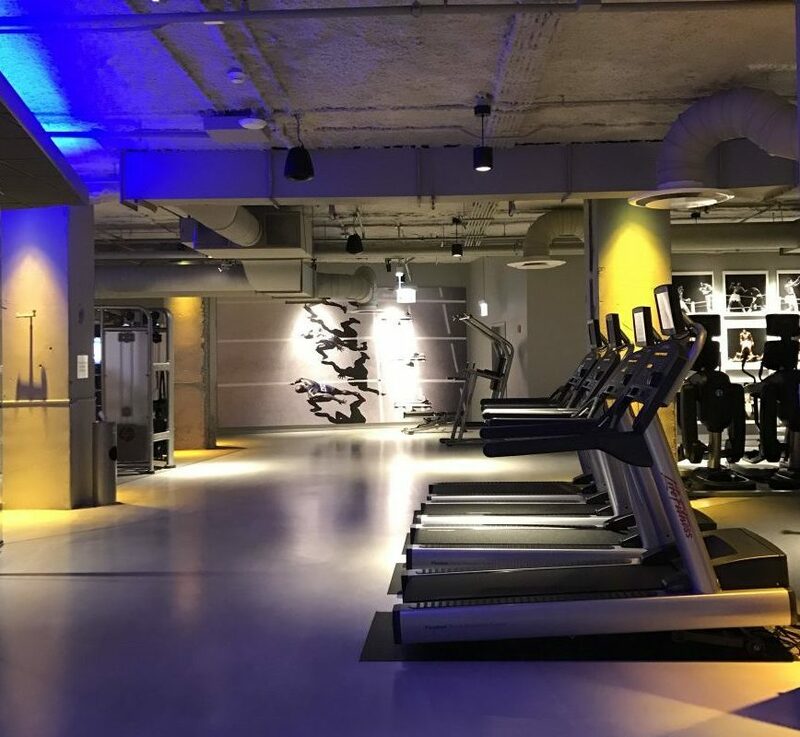 Additional renovations led by WHA include the lower level fitness center with adjacent WiFi lounge and a reimagined lobby. 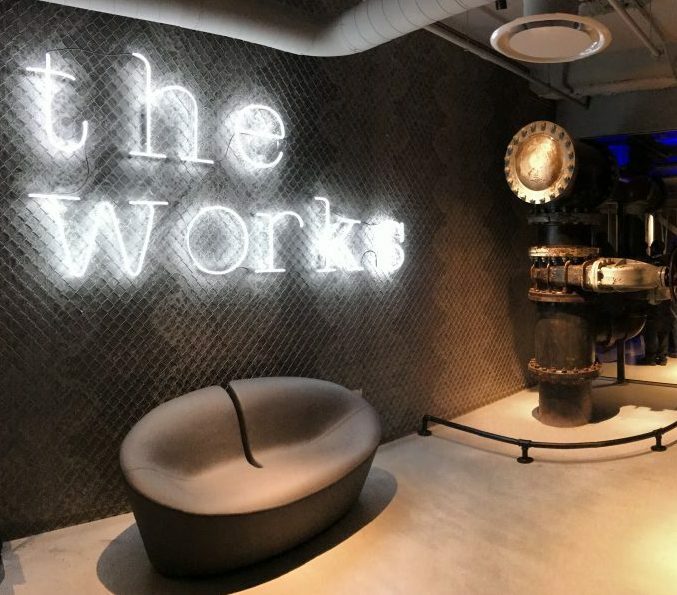 The design of the fitness center incorporates original building features, including an abandoned two-and-a-half foot diameter pipe at the entrance and red blast doors in the lounge area. With a dark, industrial design, the space evokes the feeling of a private health club. 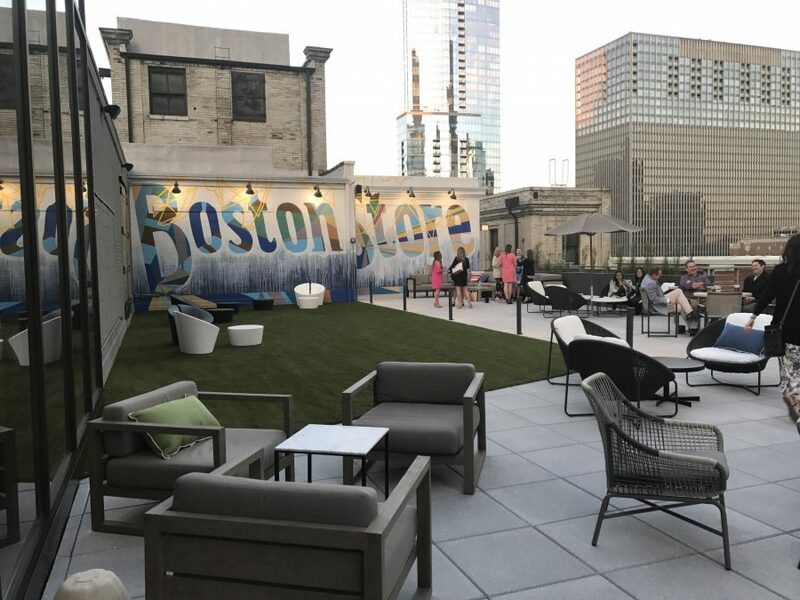 The top floor of the building, abandoned for the past decade, was renovated to include a tenant lounge with a bar, rooftop terrace and conference facility.